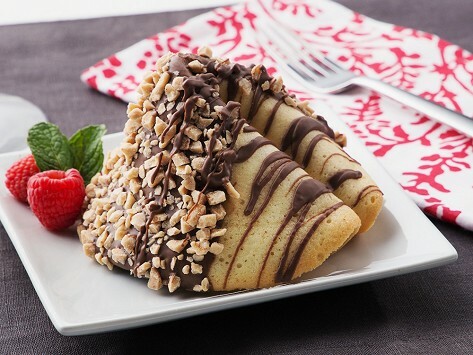 This giant fortune cookie is fresh baked from natural ingredients, then hand-formed and dipped in chocolate. Add your own personalized fortune or be surprised with a general good fortune message. Example of general good fortunes include: "Your life will be full of true friendships," "It's the little moments that make life big!," "What you desire is always possible. It will come to you"
I love that each piece is individually wrapped. This was a Christmas present and a big hit. It was very well wrapped and cushioned. Always a great gift! Love these!! Yummy and beautiful extravagance to celebrate those special occasions. Fortune tellers, we are not. But we know a good thing when we taste it. And these cookies are sure to please.